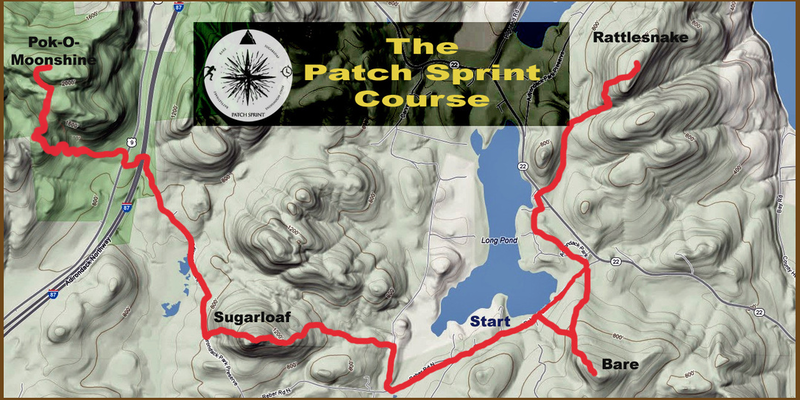 Click on either the elevation profile (above), or the course map (left) to see larger images. to download detailed course directions. In setting a then-course record in 2013, Jan Wellford ran the Patch Sprint wearing a Garmin Forerunner 310xt GPS watch. Click the map (right) to follow along - in record pace - as well as see an interactive display of distance covered, and elevation gained.